The best flash fiction is an amuse-bouche to a writer’s style and worldbuilding skills. In just 1000 words, you get a sense of the writer, the character, and are often left feeling a little unsettled and haunted. 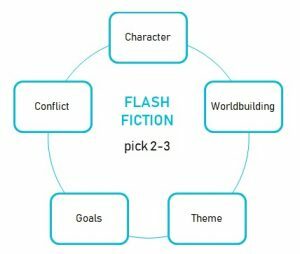 While short stories require several try-fail cycles with the protagonists attempting to reach their goals, flash fiction is more focused. In January, we launched our monthly flash fiction contest. We want writers to experiment with style and techniques, using our prompts as motivation. We love stories with tons of emotion and beautifully crafted sentences. But even more, we want flash fictions that are weighty, lingering long after the 1000 words are done. I read The Hole Where Andy Used to Be by Sean Vivier (Flash Fiction Online, February 2018) on a dreary Friday morning at work, which is the perfect time for your eyes to fill with tears. It’s a poignant piece of sorrow but also of hope, of the possibility of, if not moving on, continuing on. Our hearts may break, but happiness remains a possibility if we dare to look for it. Sometimes it feels like there’s an overload of news, disasters, and terribleness. It becomes scarily easy to check out and hide under covers. I loved Thoughts and Prayers by Josh Roseman (The Arcanist, January 26, 2018) because it’s so profoundly unsettling. It’s entirely possible and made me confront my own apathy and realize how much more I could do. Ogbewe Amadin’s Riddle (Fireside Fiction, January 2018) tackles big themes in few words (just over 1,100). Young Idara learns her Aunty Adesuwa is a witch. Idara’s mother says that above all else a witch is evil, and Idara knows this must be true because her mother never lies. And yet, she also knows her aunt to be kind and loving and strong. Idara begins to question what she’s been taught and, curious and determined, follows her Aunty into the forest where she discovers that sometimes the truth is more complicated than the absolutes learned in childhood. 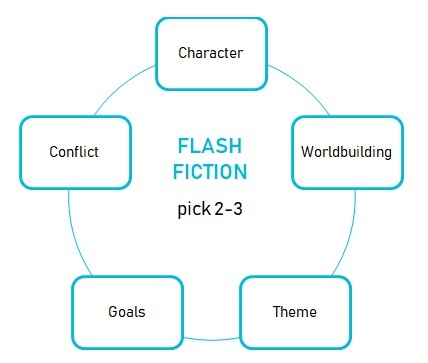 Still hungering for more flash fiction? Don’t forget to read January’s winner “Wait Until You See Them” by Marie Baca-Villa and our February winner “Prisoner and Parsley” by J. Strawn.